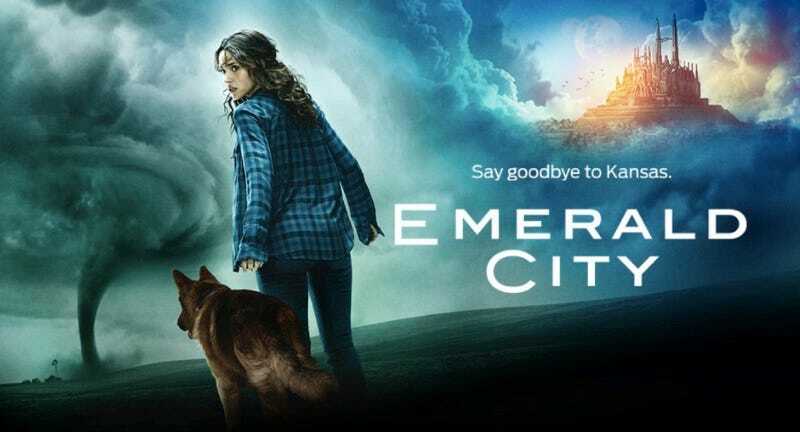 NBC shared its first promo for its Wizard of Oz-inspired fantasy series Emerald City, and it has all of the elements you’d expect (a tornado, witches) with some major updates added in. The Dorothy character is an adult, crashes into Oz via cop car, and appears to spark up a romance with... uh, is that the Scarecrow? In the blink of a tornado’s eye, 20-year-old Dorothy Gale and a K9 police dog are swept into a world far removed from our own - a mystical land of competing realms, lethal warriors, dark magic and a bloody battle for supremacy. Starring Vincent D’Onofrio (Daredevil, Jurassic World) as the guileful Wizard and directed by the visionary Tarsem Singh across three European countries, this is Oz completely reimagined - a place where familiar characters show up in fresh, unexpected ways, and where an unsuspecting young woman holds the fate of kingdoms in her hands. And as Dorothy navigates this dangerous world and uncovers her true destiny, we’ll see there’s no place like... Oz. Emerald City debuts January 6 on NBC.